Ampaire, a California-based startup, has a simple, two-fold set of goals. Its TailWind™ aircraft will solve the problems of high operating costs for short-haul airlines and reduce emissions by 99 percent. They must make a compelling argument since they won one of ten awards at the recent the 2017 Hello Tomorrow Global Summit Deep Tech Challenge in Paris. Kevin Noertke, CEO of the firm, presented a brief but energetic rundown on the company’s goals and the elegant aeronautical offering he and co-founders Cory Combs (CTO) and Ryan Bilton (CFO) envision. Note the crowd, the band, and the high production values of the Summit. Your editor wondered about the “Powered By” reference to Airbus. Kevin cleared that up in an email. “The ‘Powered by’ statement is a phrasing Hello Tomorrow uses to describe where their sponsorship funding came from. The leaders at Hello Tomorrow were obviously impressed by the direct approach to reducing operating costs by 25 percent and almost entirely eliminating fossil-fuel pollution. That the airplane looks swift and efficient probably helped garner the approval of the judges and the audience as well. Even more impressive, Ampaire was chosen from 3,000 initial entries and 75 picked for final judging. Based in the non-profit Los Angeles Cleantech Incubator (LACI) on the La Kretz Innovation Campus, Ampaire has access to office space and 800 square feet in an adjacent warehouse where bench testing takes place. 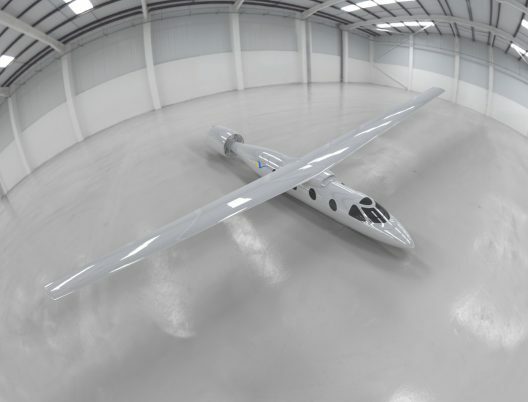 The limited space will enable integrating elements of the aircraft and low-power testing, but the project will move to a local airport for taxi and flight tests. Kevin explains, ““That’s a relatively lengthy process that we’re beginning now. We look to be certified by the end of 2020.” Others might be impressed by a “lengthy” certification process that takes a mere three years from concept to reality. Flight test of a retrofitted six-passenger airplane next year will be followed by production engineering design and certification and of the 100-mile-range craft, according to the Daily News. Kevin explains the high level of “unwanted emissions,” 800 million tons of CO2 from the commercial airline industry each year. In California alone, small aircraft emit 70,000 pounds of lead, 1,700 tons of nitrogen oxides, and 90,000 pounds of particulate matter annually. Ampaire’s airplanes could save 75-to-95-percent on fuel costs and result in overall operating cost savings of about 25 percent. The all-electric TailWind-E and TailWind-H hybrid electic (for longer flights) have a high-aspect-ratio wing and ducted propeller fan. Retractable gear and extremely clean design will ensure swift passage to a destination. 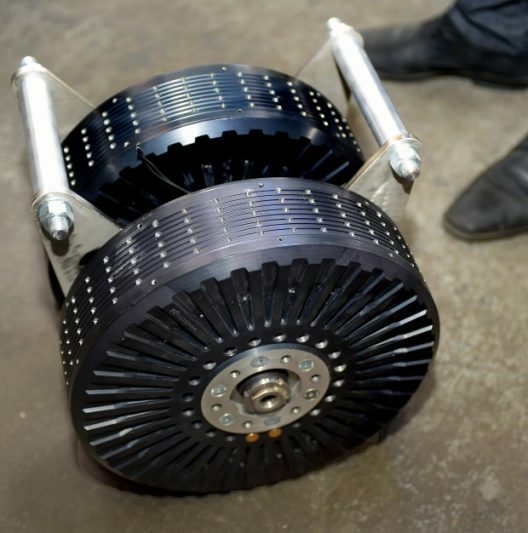 Cory explained to your editor that the Emrax motors to be used on the testbed will be upgraded in the TailWind craft. Thrust will be directed through a ducted fan arrangement as on the Fairadair, but details are withheld at this time. Matt Petersen, president and CEO of Los Angeles Cleantech Incubator, sees expanded opportunities for using Ampaire’s technologies in a wide range of projects. Cross-pollination in such enterprises is a constant source of new possibilities. 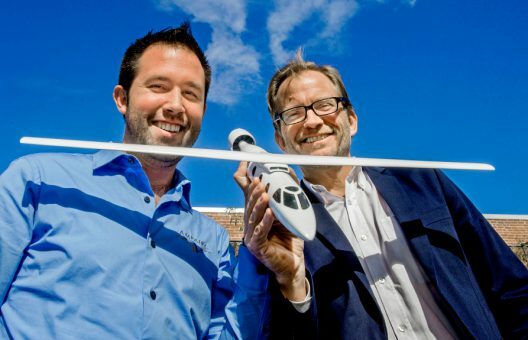 Ampaire’s eight-members come from previous experience with SpaceX, Caltech and Northrop Grumman. We hope that their ambitious schedule and innovative ideas bring about an exciting reality as promising as the images we see today.